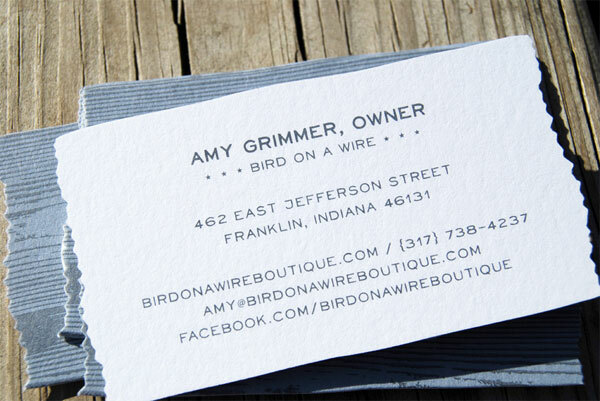 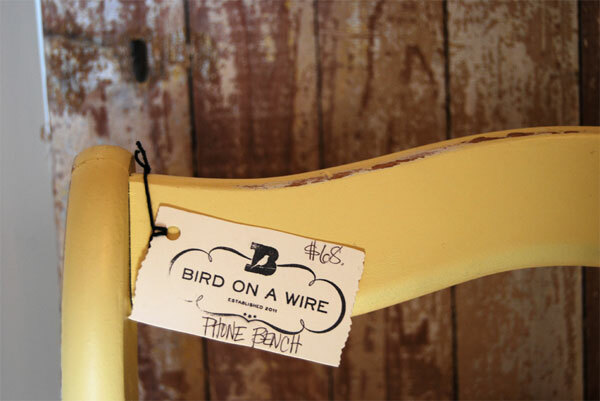 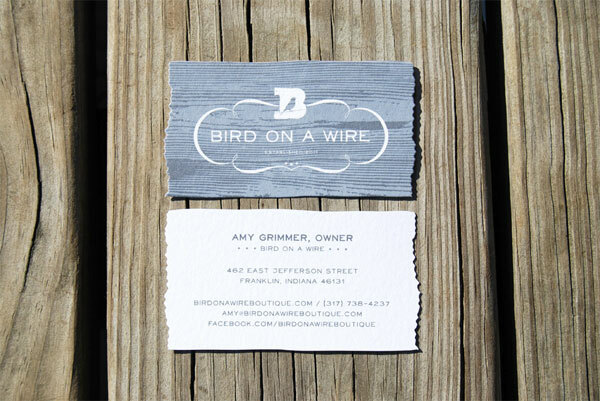 Bird on a Wire is a boutique in Franklin, Indiana featuring repurposed, recycled and refurbished merchandise from local artisans. 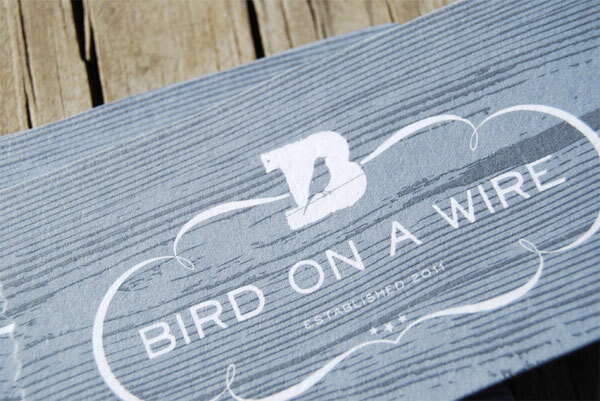 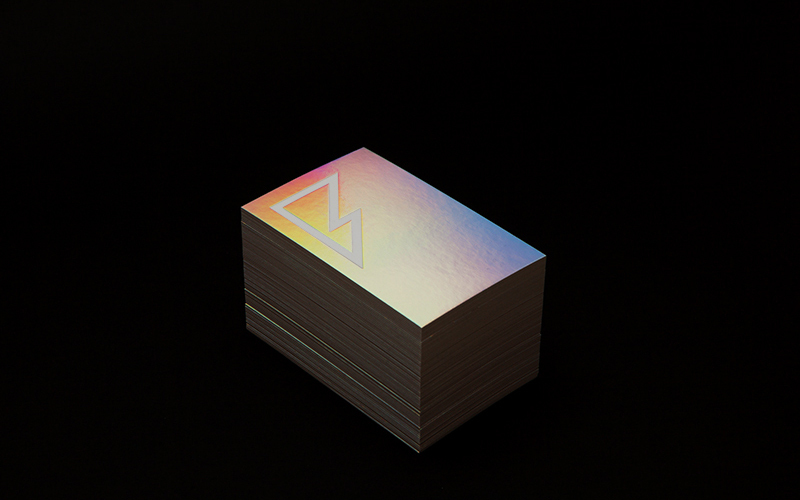 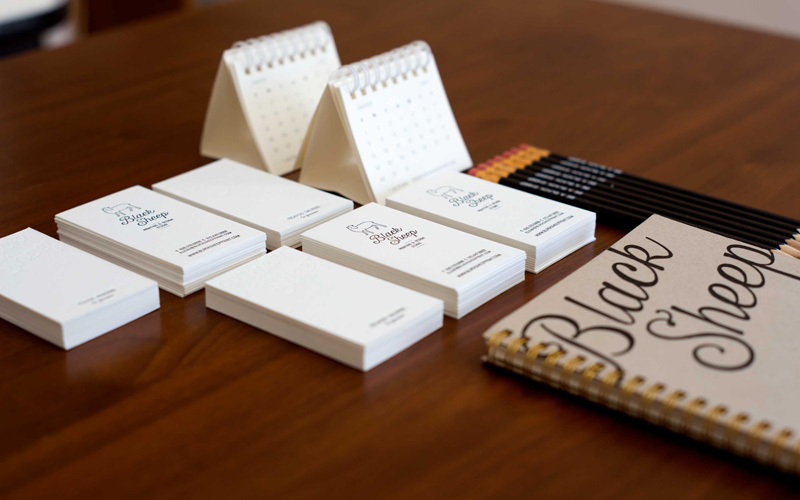 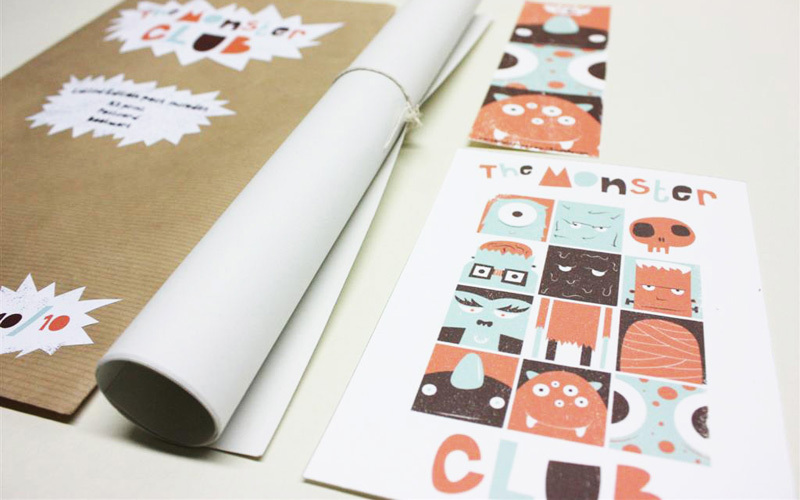 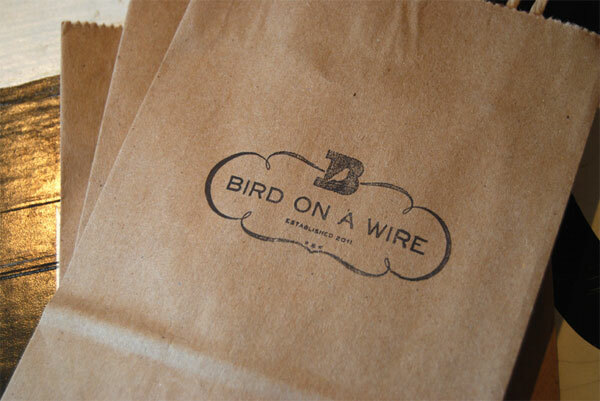 Their identity system operates the same way, pulling together wood grain, fleurons and a cute bird and die-cutting them into a tidy composition that tells us exactly what to expect from the store. 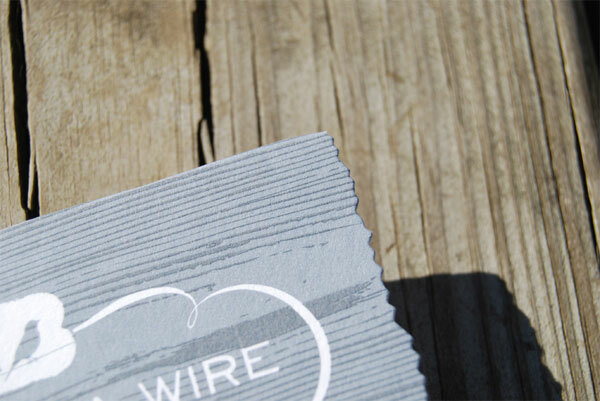 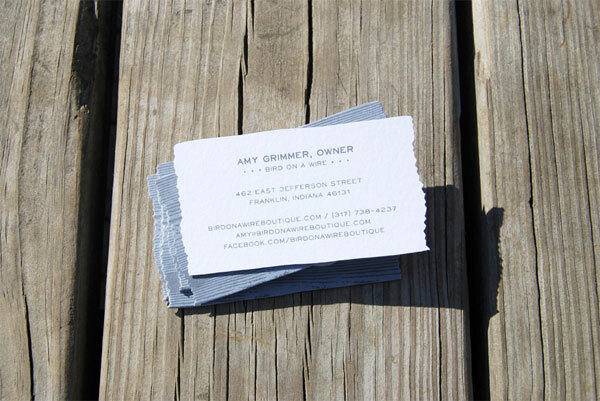 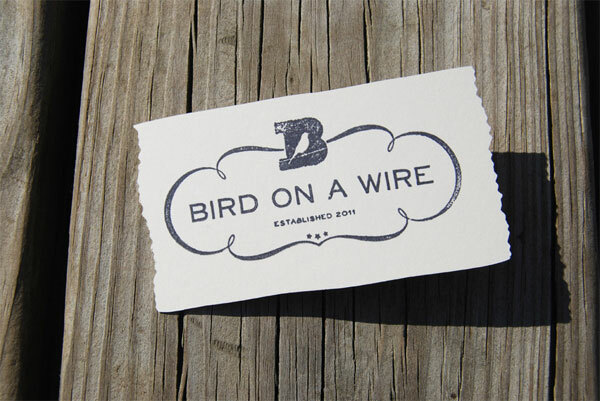 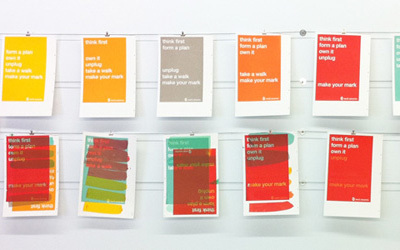 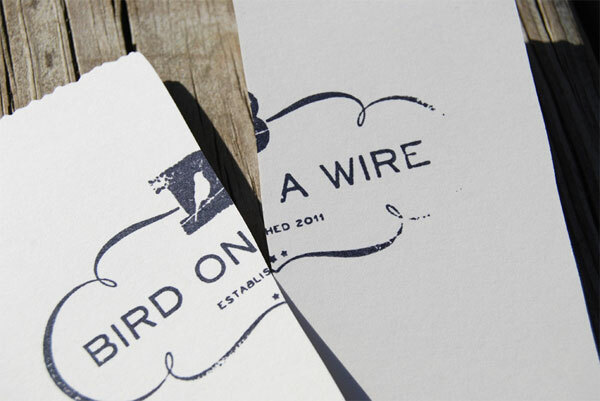 Amy had a lot of beautiful wood as inspiration for the Bird on a Wire identity. 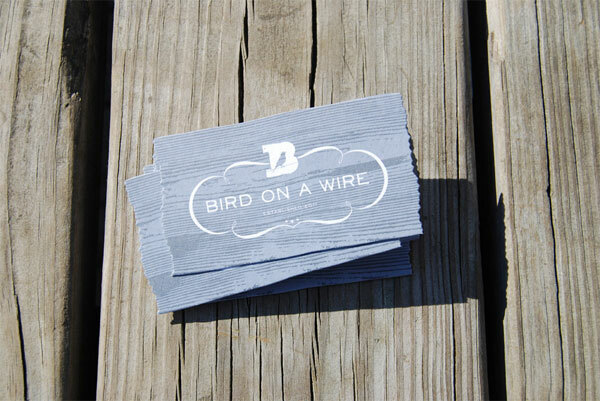 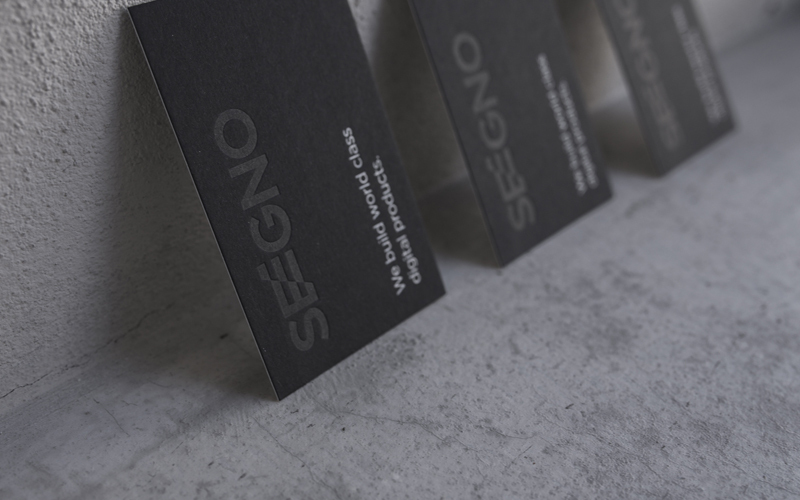 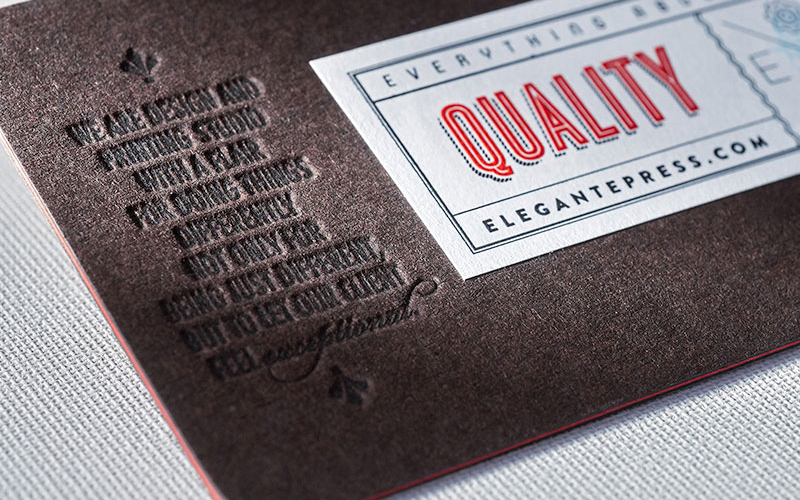 Working closely with Faulkenberg Printing Co., we were able to get beautifully printed, woodgrain die cut business cards along with an additional 1000 blank die cut cards for hangtags. 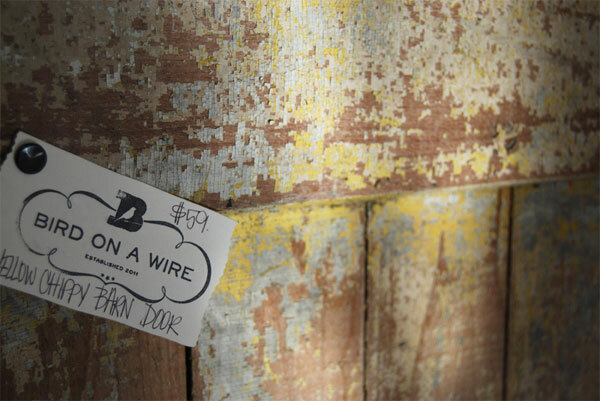 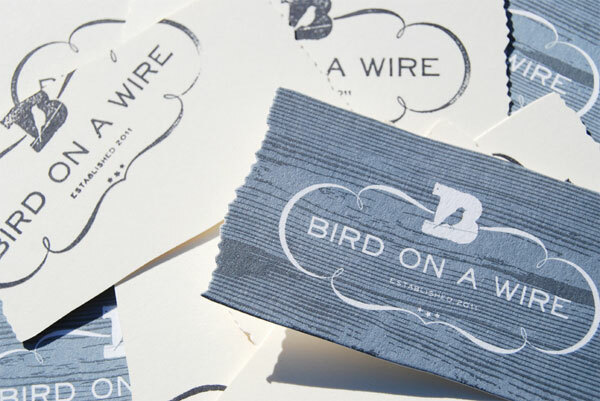 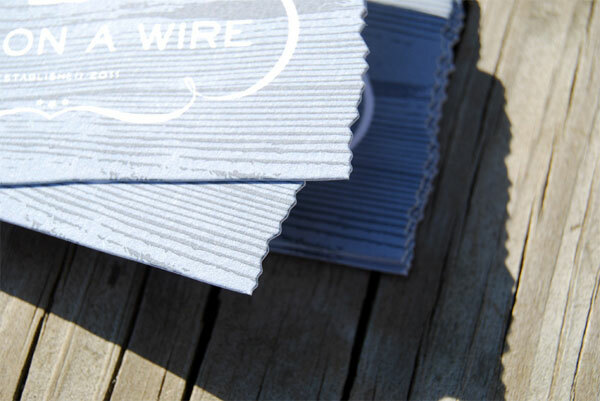 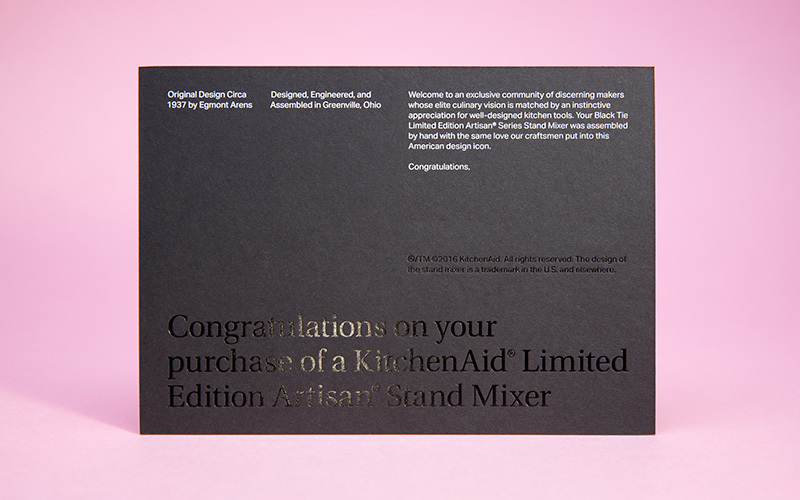 Custom stamps and twine rounded out this affordable system.